For tens of thousands of years, humans have created colours through simple chemistry. At first we used dyes found in nature such as berries and charcoal. Later, new pigments were synthesised in the lab. By now, you might think scientists would have come up with every possible colour, but in fact they continue to be invented to meet new challenges: tanks need better camouflage, mirrors need to be brighter, and satellites need new light-absorbing finishes to be able to peer further into space. 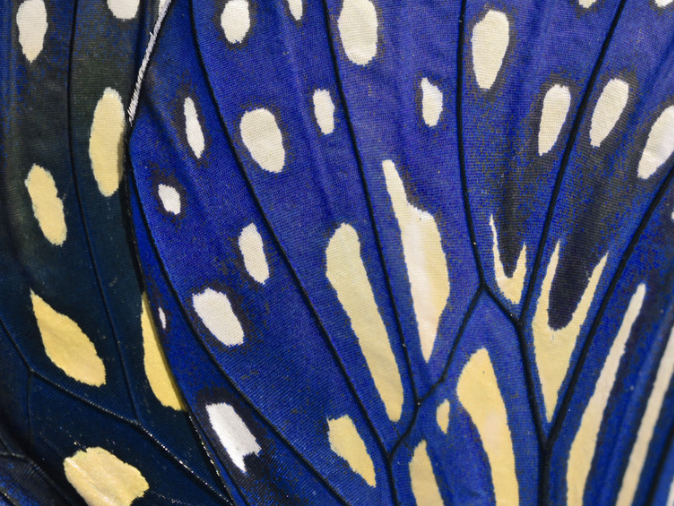 Today researchers use physics to invent new colours, inspired perhaps by the iridescent shades created by structures in butterfly wings that scatter light. These new structural colours are the result of an interaction between light and nanoscale features many times thinner than human hair. Inventing colours is now an exciting combination of chemistry along with new materials and structures. Vantablack is a famous example of colour created through structure. Scientists at Surrey NanoSystems in the UK launched “Vantablack” in 2014. Made from packed vertically aligned tiny carbon tubes, the structure and arrangement of the tubes further enhances the natural black nature of carbon, letting it trap 99.96% of light. To put this in perspective, if you think of a forest of trees about a metre in diameter, then these trees would scale to be around one kilometre high. Light falling on this very tall forest of tubes bounces around and is almost perfectly absorbed. Several research groups including NASA have focused on similar efforts to achieve the “blackest black”. While several materials can be used for this purpose, including gold nano-particles and rods, it seems carbon nanotube coatings are the most efficient option. Although not as absorbing of light, nature has its own version of Vantablack. The West African Gabon viper’s dorsal scales, some of the darkest found in the wild, have a specific “leaf-like” structure. It uses its black structural colour as part of an elaborate camouflage adapted to its forest habitat. 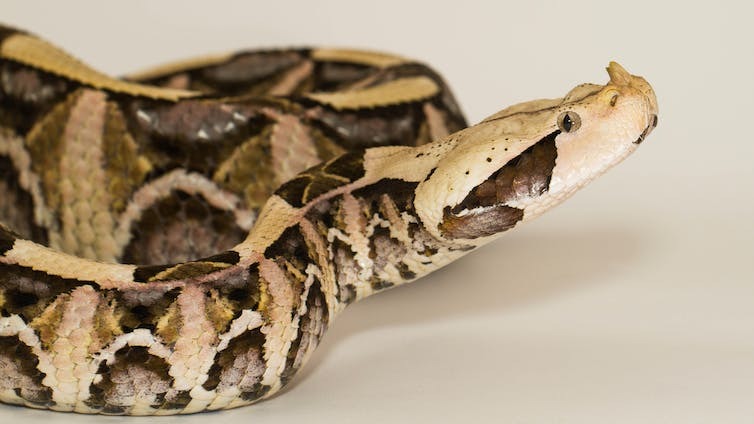 The West African Gabon viper’s dorsal scales are some of the darkest found in nature. Why do we need the “blackest black”? The pursuit of an absolute black material has been driven by a need to completely absorb light energy and convert it to heat. The sensitivity of optical instruments requiring a minimal amount of stray or unwanted light, such as telescopes, could be greatly improved with the addition of Vantablack-coated surfaces in their optical system, for example. This could enable the observation of fainter stars. In infra-red or thermal sensor systems, its use could also improve the signal-to-noise ratio and result in better resolution in heat detection. Since materials like Vantablack absorb almost all light, other possible applications could lie in thermal collection systems such as solar panels. The coating is relatively fragile, however, and typically needs to be protected or encased within an instrument. We see colours because light is reflected off our surroundings. It is quite disturbing to look at a Vantablack surface, after all, as the lack of light reflection gives a sensation of emptiness that is hard for the brain to process. Whist Vantablack absorbs light, in some applications, such as mirrors, we want them to reflect all possible light. Mirrors for concentrated solar applications need highly reflective coatings to reflect all the light and concentrate the Sun’s energy to a single point to create heat. That heat can then be used to generate electricity. We are also developing visual effects for automotive use by embedding microparticles in coatings, creating a satin or low-gloss plastic trim. These microparticles are made of glass and scatter the incoming light, bouncing around the layer they are embedded in and giving rise to a uniform satin effect. The scales of the European sardine also use reflective structural colour. Traditionally, this would have been done with electroplating, a process where metals are deposited onto a surface from liquid metal salt baths. This alternative technique avoids the cancerous materials used in electroplating to deliver similar performance but with few environmental problems. New colours can also be achieved by layering materials of different refractive index – a measure of the ability of a material to bend light. When you stack a number of layers with different refractive indices on top of each other and control their thickness, you can produce interference. This is the same phenomenon as when you see an oil slick on water. But, as usual, nature has got there first. 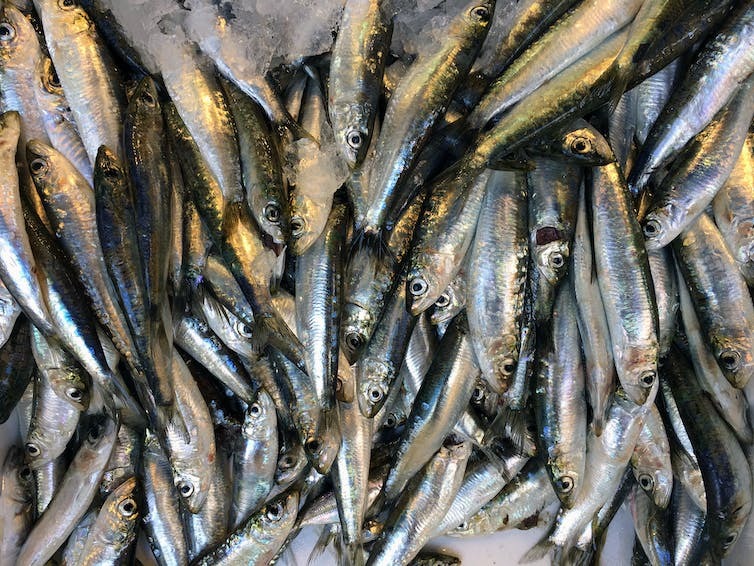 Reflective structural colour can be found on the scales of Sardina pilchardus, otherwise known as the humble European sardine. It’s not “new colours” per se, but new methods of creating colours (and the absence of colour…). But it is all fascinating! I’m particularly a fan of structural colour. I describe it (to those asking) as utilising the “wave” properties of light, where-as normal, chemical colour uses the “particle” properties.